Danny Bryck is a playwright, actor, activist, producer, and educator based in New York. He is the creator of No Room for Wishing, a solo documentary play written from interviews with Occupy Boston, which he has performed throughout New England and New York; Quixote in Kabul, a re-imagining of Don Quixote as a Latino American soldier in Afghanistan told through spoken word, music and dance; and The River and the Sea, a documentary play based on interviews conducted in Israel/Palestine. Other works include cement, love, nothing else, a documentary play about the police shooting of Burrell Ramsey-White in 2012, presented at “United Story: Boston Beyond Today,” a series of events Danny co-produced in Boston featuring art and stories from the community responding to police brutality and systemic racism; and Love in the Time of Time Travel, a sci-fi sketch show, co-written with A. Vincent Ularich. Danny is a current member of The Civilians’ Field Research Team, and a writer and actor on the web-series We’ve Got History. His work has been produced by Company One, Underground Railway Theatre, Boston Playwrights’ Theatre, and the Outside the Box Festival, and had staged readings with American Repertory Theatre and New Repertory Theatre. 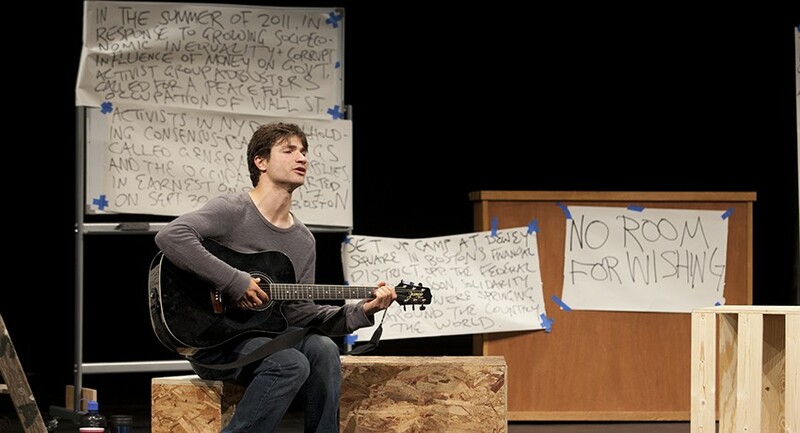 As an actor he has performed regionally with the Huntington Theatre Company, American Repertory Theater, New Repertory Theatre, Underground Railway Theatre, Actors’ Shakespeare Project, the Publick Theatre, and Stoneham Theatre, among others, and in New York with The Civilians and New Perspectives Theatre Company, and was an artistic associate with Whistler in the Dark Theatre in Boston for three years. He has appeared on the daytime drama As the World Turns and in a handful of independent films, including the Rasmussen Brothers’ Dark Feed and The Inhabitants. Danny also works as a dialect, accent modification and communication skills coach, and has taught acting, company devising, voice work, and improvisation at the Boston University Summer Theatre Institute, the Huntington Theatre Company, and in Boston Public Schools. Danny was a recipient of New Repertory Theatre’s “Next Voices” fellowship and Company One’s David Wheeler Award, and has been nominated for four awards by the Independent Reviewers of New England. He holds a BFA from Boston University and is a member of Actors’ Equity Association.